Colori soffici e delicati, che danno subito quell'aria bon ton e romantica, saranno i protagonisti indiscussi di una primavera, che sembra ancora lontana, viste le temperature gelide di questi giorni. Ma in fondo che male c'è portarsi avanti e pensare al prossimo acquisto, caratterizzato magari da un abito che fluttua leggero sulla nostra pelle e che ci faccia sentire un pò bamboline? Soft and delicate colors that can give that bon-ton and romantic air, will be the protagonists of a spring, which still seems far away, given the freezing temperatures of these days. But basically it's wrong to think ahead and take the next purchase,characterized perhaps by a dress that floats lightly on our skin and that makes us feel a little doll? Love it! I am starting to shop for some pastel pieces. Hihi. I love these colors convey a sense of freshness! amo i colori pastello, soprattutto sui toni del verdino e dell'azzurro! 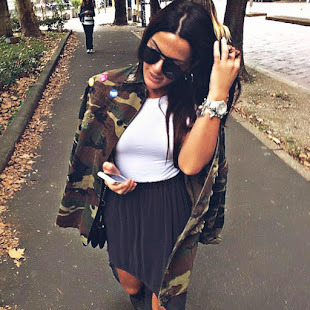 maybe you have time to check my new post..
nice post!! thaks for sharing it!! Che carini questi vestiti...fanno venire voglia di primavera! i love pastel colors.. i love those from blugirl and carven! I love the SS12 trends can wait to try them out especially the pastel & neon colors they're so feminine! Talk about it,girl!A total sucker for anything pastel! I am not really a fan of the pastel trend, but seeing this pics I think i would give it a chance for sure. love the dress of Carven!! As you say they are soft an delicate colours. I love them. Ooh... Beautiful models and designs!! I love pastel colours!! Follow you! If you like, come and visit me! Ciao cara! !è vero il nuovo trend di stagione saranno i colori pastello in opposizione e non ai colori fluo!! I'm so loving this trend!! Pastel colors are so romantic! I will totally wer all this ! I love pastels, so elegant! Feminine and delicate colours... and such a wide palette... what can be better for hot summer!!! Molto carine le cose che hai scelto! Bellissimo! anche noi abbiamo fatto un post simile!! Questa stagione promette bene!!! I am hoping to jump on the band wagon of florals this spring. I cannot wait for the weather to get better. I like seeing pastel tones, they relax me. I just don't really like wearing them though. love these pastel colors, can't wait for summer. I love the pastels trend. I don't have the courage to wear neon, so pastels shades are where i'm headed. aaaaaaaaaaaaa!!!! non vedo l'ora che arrivi febbraio con le nuove collezzioni...nuove sorprese e nuove tendenze....questi abiti sono stupendi!!! FOLLOW ME ON MY NEW BLOG!!!! ...belle proposte...adoro i colori...sia pastello che belli accesi!! !